It’s hard to put a finger on it, but there’s definitely something geeky about Leap Day, Feb. 29. I couldn’t come up with 29 of these, but here’s a roundup of geeky ways to celebrate the “holiday”? Or at least special, once-every-four-years day that always reminds me at least that it’s a U.S. Presidential election year. There have been numerous examples over the years with software programs not quite getting Leap Year. Microsoft cited a Leap Day Bug in 2012 that contributed to its Azure service going down on Feb. 29 of that year. Excel also incorrectly assumes that 1900 was a leap year, and while many turns of the century are, those not divisible by 400 aren’t. And not to beat on Microsoft only, Sony back in 2010 had a Leap Year Bug in its PlayStation 3, but that has since been resolved. Head over to a site such as Physics and Universe or better yet, check out the go-to-guy for all things science these days (with apologies to Bill Nye the Science Guy): Neil deGrasse Tyson. Wow, never thought I’d recommend any romantic comedy. So strike that heading. But let me at least make you aware that the movie Leap Year exists. It features Amy Adams plotting a trip to Dublin to propose marriage to her boyfriend, exploiting a supposed Irish tradition that he will have to say Yes. Kind of surprised there isn’t a Leap Year horror movie, or maybe this is: Time magazine called it the worst film of 2010. As you might expect, the pickings are slim as far as famous leaplings go. Recognizable names to me anyway are actor Dennis Farina, whose credits include the Law & Order TV show, as well as movies such as Saving Private Ryan and Mac (the latter of which I’m pretty sure isn’t another Steve Jobs biopic); old-timey singer Dinah Shore; self-help guy Tony Robbins; and NHL player Simon Gagne. A go-to source for any kind of list like this, you know you can find pretty much find anything weird on the DIY shopping site. Among the items I found at a glance: froggy-themed line art for crafts; a paperweight featuring this seemingly, but not really techie quote from John Burroughs: “Leap, and the net will follow;” and one very twisted post card. Or so says the National Institutes of Health, which is calling attention to those afflictions affecting some 25 million in the United States. You can watch presentations, etc., online here starting at 8:30am EST. The Nashville Technology Council celebrates Leap Day by bringing together over 300 students for more than 45 local tech company site visits for a technology workplace learning day. The council also launches its We Build Tech campaign. 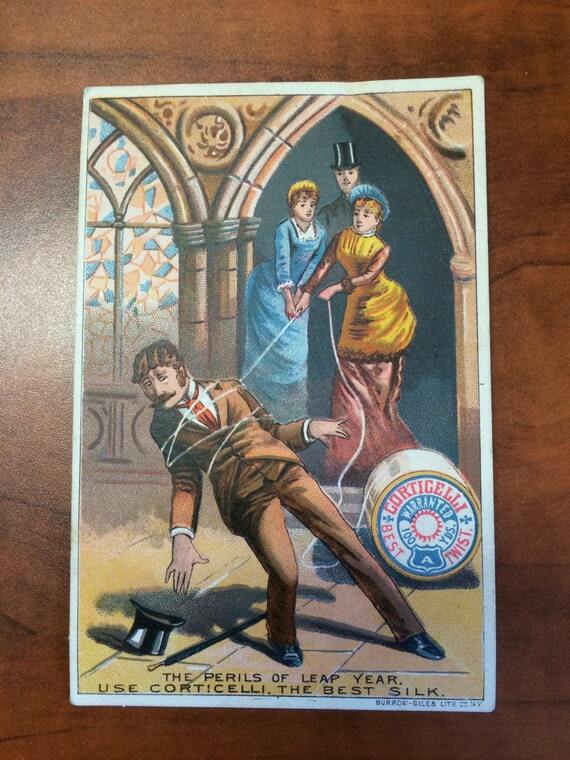 OK, it’s not going to work for 2016, but there’s always 2020. Online clothing retailer Zappos, which is giving its employees the day off, is leading the charge – and the Change.org petition drive. Where else to turn for ideas? 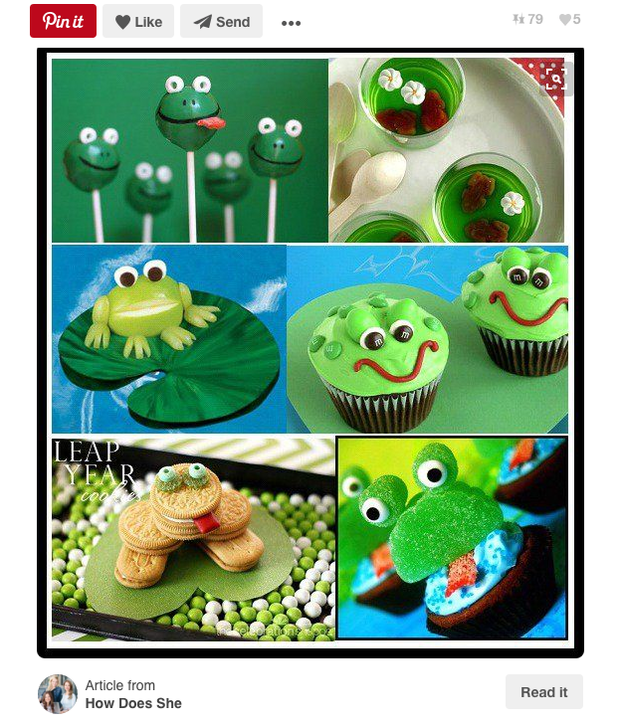 Pinterest, of course, which means lots and lots of frog-related stuff, from cupcakes to masks to games.